I pass this house dozens of times each week during the daily events of my life. 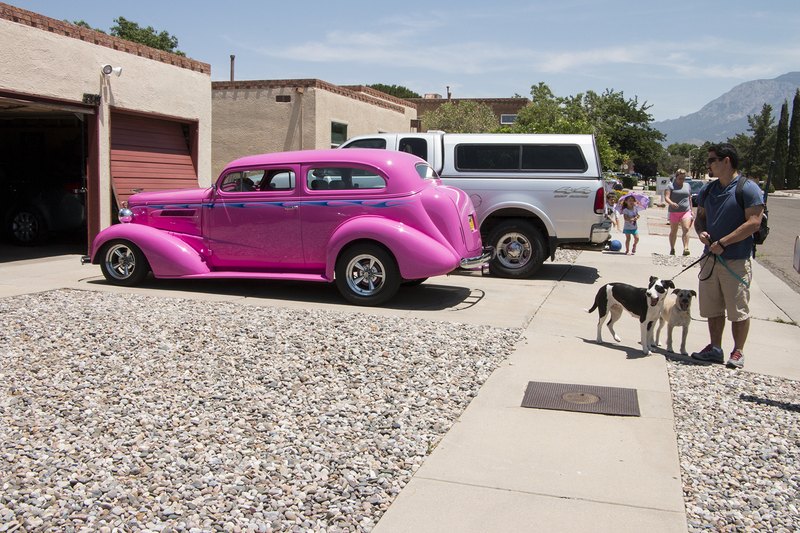 On this occasion, rather than an empty driveway or the silver pickup truck, something else was parked. The vehicle had an after market color that was an intersection of a Barbie gown and the Pink Panther. Like the neighbors who were walking their dogs, I also was ensnared by the distracting color.